J.D. Stetson University College of Law, 1973; B.S. Florida State University, 1969. Judge, District Court of Appeal, First District, 1996-Present; Circuit Judge, Second Judicial Circuit, 1988-1996; Chief Judge Second Judicial Circuit, 1993-1996; Adjunct Professor of Law, Florida State University College of Law, 1992; Private Practice, 1973-1988. Florida Bar Outstanding Jurist Award, Orlando, June 28, 1991; Tobias Simon Pro Bono Service Award, Tallahassee, March 16, 1983; Nelson Poynter Civil Liberties Award, St. Petersburg, December 4, 1982; Leon Association for Retarded Citizens, Volunteer of the Year Award, 1986; various academic awards including Stetson University College of Law Honor Roll, 1972, and Stetson Law Review, 1973. 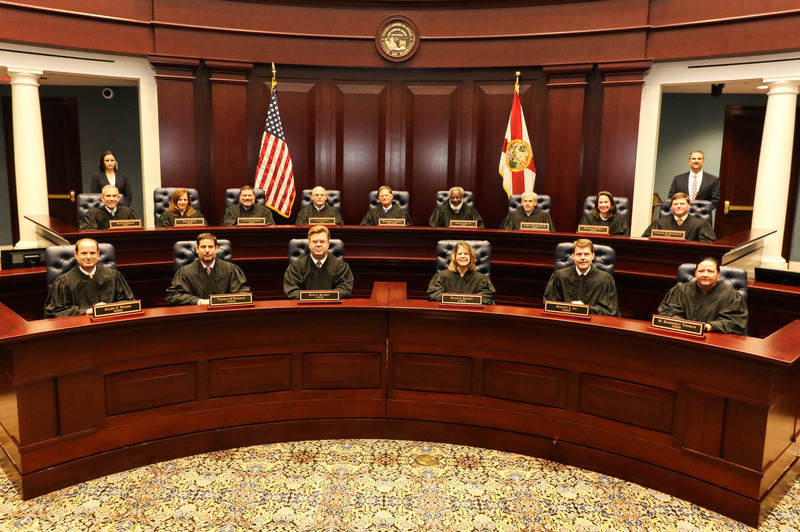 Chair, Committee on Florida Standard Jury Instructions in Criminal Cases, 1997-Present; Chair, Committee to Recommend Minimum Standards for Lawyers in Capital Cases, 1997-Present; Court Users Technology Committee, 1996-Present; Rules Subcommittee of the Judicial Management Council, 1996-Present. Florida Appellate Practice, West Publishing Company, 1988; Florida Appellate Practice Second Edition, West Publishing Company, 1997; Postconviction Relief in Capital Cases, Benchbook of the National Judicial College; Due Process Defense in Reverse Sting Cases, FLA. BAR J. October 1984; Florida Theft and RICO (CLE Book) Chapter 6: Entrapment; Prejudicial Comments of the Prosecutor During Closing Arguments - A Survey of Florida Law, FLA. BAR J. March 1977; Florida Criminal Rules and Practice (CLE Book) Chapter 8: Immunity; Criminal Law - Constitutional Law - Right to Counsel for Misdemeanants, 3 STETSON L. REV. 191 (1973); Criminal Law - Jury Instructions on Lesser Included Offenses, 3 STETSON L. REV. 91 (1972).